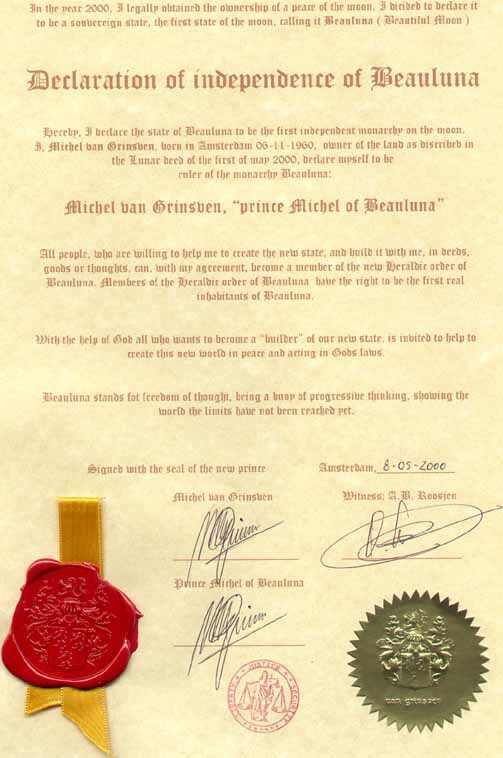 In the declaration of independence of Beauluna is stated that everybody who is willing to help building up this new state, wether in actions, goods or thoughts, is with permission of the prince of Beauluna able to become a member of the new founded heraldic order or nobility of Beauluna. Besides that titles will be given both to them who have helped the organisation or have been busy with things related to noble titles or in another way have been busy with things which can be related to our titles. the organisation which duty is to release Heraldic and noble titles within the order or principality.